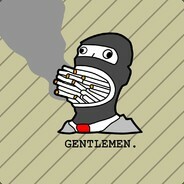 I am a Steam user/ gamer that is interested in trading. send a trade request if you see anything you like! For coming to the bottom of my description, I will give you this: https://steamcommunity.com/tradeoffer/new/?partner=84145841&token=-HT5G7x8 It is the trade URL for a bot that gives free items, but only 1 of each for each day. My main laptop is having connector issues at the moment and won't boot up properly, so i won't be online very often for about 2 weeks.